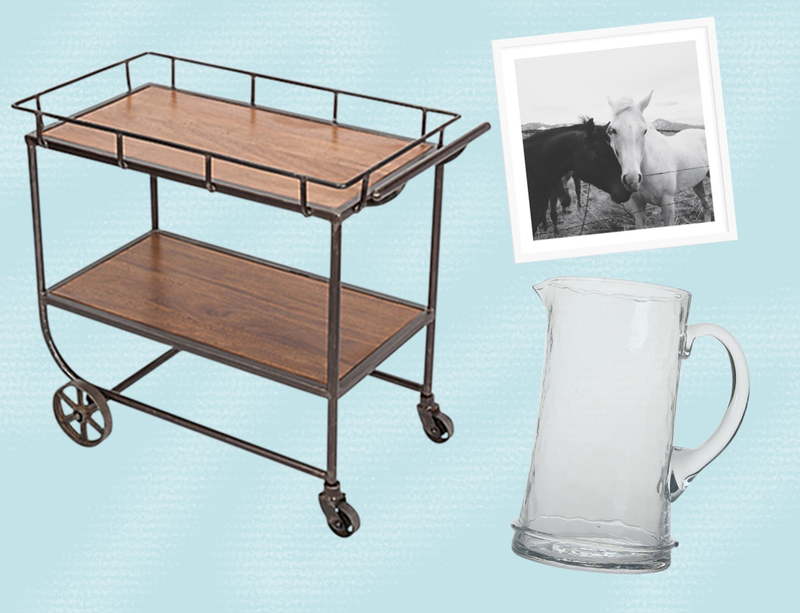 Sure, bar carts serve as a place to stash your booze, but they also become your home’s de facto entertaining hub. With a little effort, you can curate a Pinterest-worthy setup that reflects your aesthetic and helps you throw the perfect party. 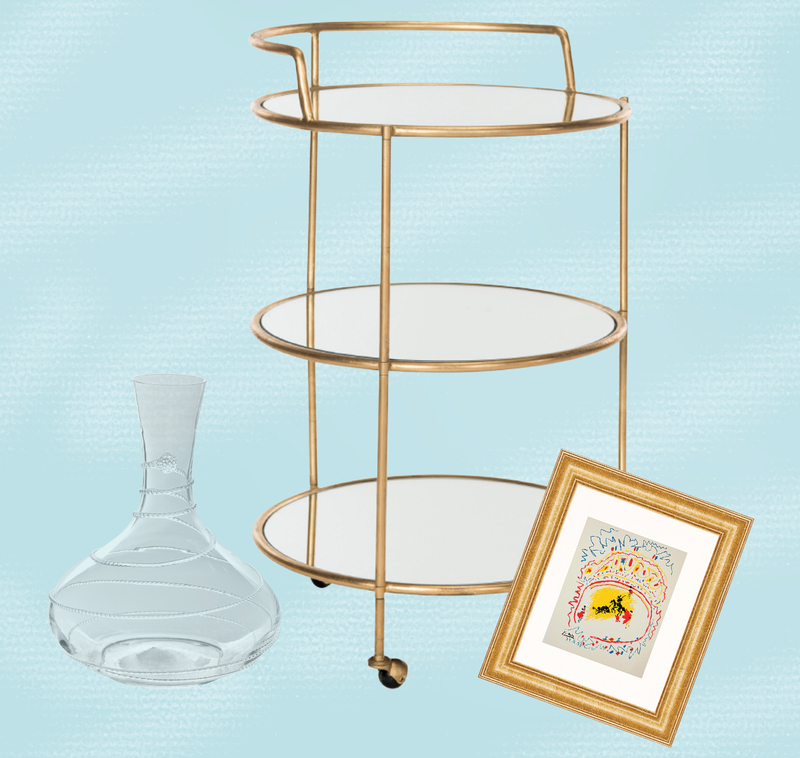 Sally Gotfredson, an interior-design manager for One Kings Lane (Sophia Bush worked with the site to redecorate her L.A. home), gives Us tips on nailing three different looks. Gotfredson says she chose a black-and-white photo by Kevin Russ and “smoky” handblown glasses to echo the “casual feel” and burnished finish of a reclaimed pine and iron cart. 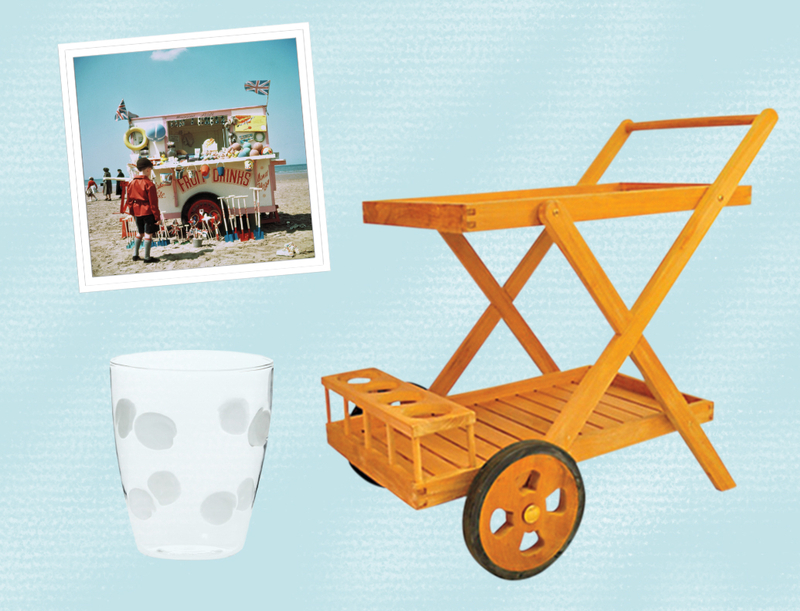 Shatterproof tumblers and a brightly colored prints “set the tone for a lighthearted gathering,” explains Gotfredson. The vibrant art is “cheerful and a tad nostalgic,” while the sturdy drinkware means you actually get a chance to chill out instead of worrying about the potential for broken glass. If you’re in celeb hotspot Southampton this summer, stop by the new One Kings Lane brick-and-mortar store to shop a mix of furnishings, tableware, gifts and vintage items and tap the resident style pros for advice on tricking out your own home bar. You can also tap the resident style pros for advice on tricking out your own home bar. Cheers!